sunshine and whimsy. : my favourite podcasts. For a really long time, I refused to listen to podcasts. I'm a visual person, I said. I can't concentrate, I said. I don't have time, I said. 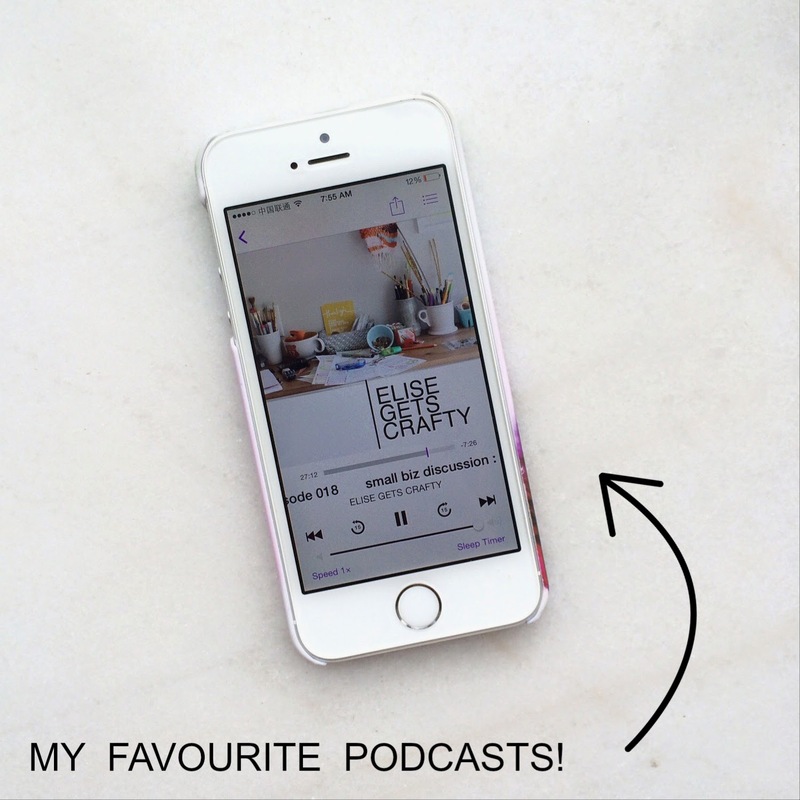 And then my favourite blogger Elise* started a podcast and I had to listen. How could I not? If Elise has a podcast, I guess I'll tryyyy, I said. And so a podcast listener was born. Elise Gets Crafty - Obviously this had to make the top of the list. Elise mainly talks about blogging, business, and creativity. I blog, but I'm not a business owner, and I don't consider myself to be very creative. And yet I'm excited every Wednesday morning to hear a new episode. I love Elise's take on things; she and her guests always leave me feeling inspired. The Joy the Baker Podcast - I only recently started listening to this show, hosted by Joy Wilson and Tracy Benjamin, but I'm already a huge fan. You guys, they're hilarious! I can't even tell you what they talk about because it seems like they talk about everything—blogging, life, hilarious things on the internet, penises. (It's true, I only started listening a few episodes ago and penises have been mentioned in the last two.) Yup. If you like laughing and hanging out with girlfriends, this podcast is for you. 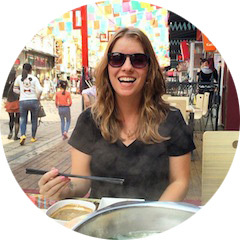 The Sarah R. Bagley Podcast - Sarah's tagline is "a recovering perfectionist's guide to a B+ life" so of course I'm a fan. I've always been a perfectionist and now, partly because of Sarah's blog and podcast, I see the virtue in allowing myself to relaaaax. Or to try to, anyway. Every time I listen to Sarah interview a guest, I feel like I'm grabbing coffee with a couple of friends. See? Relaaaax. The Lively Show - Also a podcast with an interview format, Jess and her guests talk about everything from wellness and relationships to blogging and careers. Each episode has something in common though: living with intention. After listening, I always feel more purposeful and take away a new idea for how I can live a better life. Do you have any podcast recommendations for me? Let me know if you listen to any of these! *Technically I should write "my favourite blogger, Elise," but this is literally what I say when talking about her to friends—"My favourite blogger Elise..." all in one breath, as if that was her name, haha. Great round up! I'm addicted to podcasts lately! So much so that I started my own, The Girl Next Door Podcast (www.girlnextdoorpodcast.com), we are having so much fun with it! In my weekly line-up I also listen to the Slate podcasts like Political Gabfest and Culture Gabfest and I love Radiolab, Snap Judgement and NPR Tiny Desk Concerts for new music - it's always great! Great! Let me know what you think if you try them!